Randall Woodfin believes any political revolution that takes off across the nation starts in cities like his hometown of Birmingham, Ala., where he is running as a progressive candidate for mayor. Sure, Donald Trump literally encouraged local police to abuse people in their custody, but the people with real power to ensure that doesn’t happen aren’t in the White House. With white supremacists taking over Charlottesville, Va., essentially with Trump’s blessing, America is ailing from the national repercussions of a White House that is working to reverse health care policy, attack public education and unleash a wide range of economic assaults against the very people Woodfin hopes to represent as mayor of Birmingham. More than 30 percent of the city’s residents live below the poverty line, an issue that Woodfin claims Bell is doing little to address. The greater access someone has to a job, the less susceptible he or she is to entering a life of crime. Education is a key component to this. 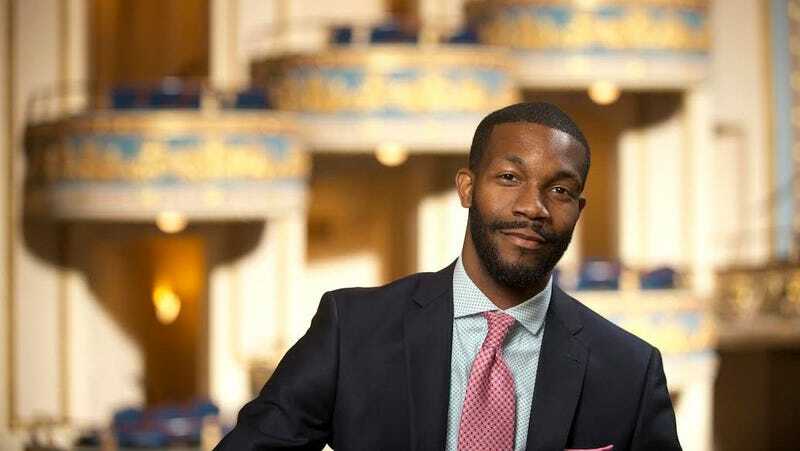 If elected mayor, Woodfin, plans to create a scholarship program that would provide free tuition at two- or four-year programs at community colleges in Jefferson County to Birmingham high school graduates. Moreover, he plans to strengthen the power of a high school diploma to make its recipients eligible to take on high-paying jobs that do not require a college degree. Birmingham has undergone significant economic growth and business investment over the past few years, but poverty has increased with it. Many of the people benefiting from that growth are young white families moving back into the city unbothered with issues of inequity. Local civil rights attorney Byron Perkins says that he feels the city’s crime issues are a direct result of that. In fact, Woodfin’s own 17-year-old nephew was shot and killed just this past weekend, so the issue hits him very personally. A city prosecutor in Birmingham, and a member of the city’s school board, Woodfin has a sense of urgency about his candidacy. As he campaigns on to the Aug. 22 runoff, Woodfin thinks of the black progressive mayors whose policies he’d like to model in Birmingham. The late mayor of Jackson, Miss., Chokwe Lumumba, was arguably the most progressive mayor in the country before he died in office; his son, Chokwe Antar Lumumba, who won his seat this year, declared that Jackson would be “the most radical city on the planet.” The late Marion Barry is also a role model of Woodfin’s; Barry’s summer jobs program during the 1980s was one of the most innovative economic policies in the nation and still exists. What Woodfin most admires about Barry and Lumumba was their unabashed passion for black people. So far, his campaign says it has raised $310,611.15 as of Tuesday, a sign that some national supporters praise. Nina Turner, former state senator from Ohio and president of Our Revolution, a national organization made up of Bernie Sanders staffers and supporters created to support progressive candidates at the local and national levels, told me a Woodfin win would help spearhead a progressive push nationally. Woodfin told me if folks in his town want to help make sure 2016 (or 2018, for that matter) doesn’t become 2020, they need to invest in progressive politics like those he proposes. He told me about the dozens of conversations he’s had with people in his city about being disappointed with the Election Day results and the emotional attachment they had to the outcome. He tells them it’s time to refocus. “What I share with people is if we take a piece of that emotional attachment and put it at the local level, everything we want as it relates to better, efficient and responsive government, you can get it at the local level, because that’s where real change happens,” Woodfin told me.